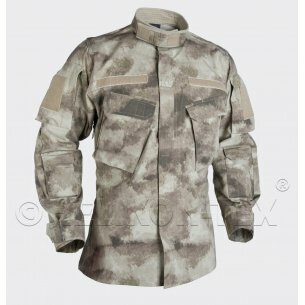 In the military store hwesta.eu you will find a wide selection of men's shirts and t-shirts. 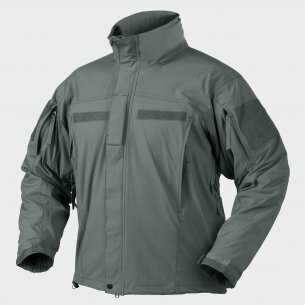 We offer high quality clothing from recognized manufacturers (Helikon Tex, Pentagon). 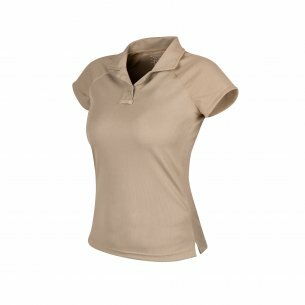 In this product category you will find all the styles and types of men's shirts and t-shirts (polo, tactical, military, thermoactive etc. ), available in many colors and military camouflage. Thanks to the high quality materials and solid workmanship, the clothes available in our store are resistant and durable, and comfortable. We offer men's shirts of three leading brands: Helikon Tex, Pentagon and Mil - Spec Monkey. Men's polo shirt (t-shirt with unfinished collar) - T-shirts from the Urban Tactical line have a pocket on the sleeve and a holder for glasses. They are made of 100% high quality polyester. They are available in the following shades: black, olive green, khaki, coyote / tan, foliage green, jungle green, navy blue, shadow gray, adaptive green. 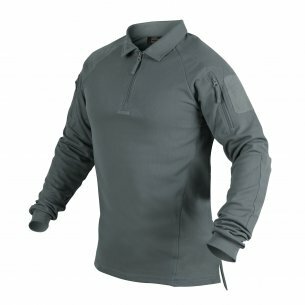 Tactical T-shirt (men's t-shirt) - men's shirts made of airy Polyester, also have a zipped pocket on the left sleeve and a holder for glasses. 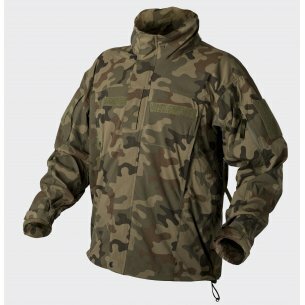 Available in smooth color versions (black, olive green, khaki, coyote / tan, foliage green, jungle green, navy blue, shadow gray, adaptive green) and camouflage (PL Woodland, Camogrom). 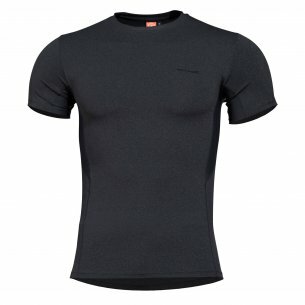 Every T-Shirt Helikon Tex available at our time is a thermoactive shirt. The thermoactive t-shirt is made of polyester finished with TopCool technology. Thanks to this the shirt is breathable, supports moisture management and can be used in all climatic conditions. It is an ideal product for professionals and all lovers of survival regardless of the season. Helikon Tex T-shirts provide good insulation and comfort even in the toughest conditions. Clothes of this brand are appreciated by military services all over the world. The Pentagon company has existed since 1991, its offer is addressed both to employees of uniformed services and civilians. Due to the wide range of recipients of Pentagon products, apart from high quality, the brand also focuses on various designs. 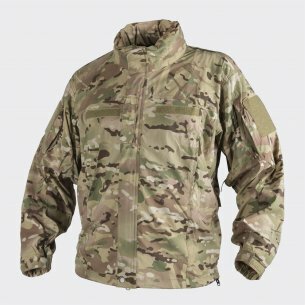 It is also worth mentioning that the products of this brand were part of the army equipment during missions, among others in Iraq and Afghanistan, and troops that are part of NATO forces. In addition to the classic smooth shirts, we also find a camo t-shirt, and T-shirts with all kinds of original prints. The products of this company are made of 100% Ring-spun cotton (brushed), weight: 165Gsm. It is a natural, quick-drying material with odorless properties. The fabric from which these products are made are saturated with long-lasting dyes to long-lasting color and resist fading and discoloration during washing. 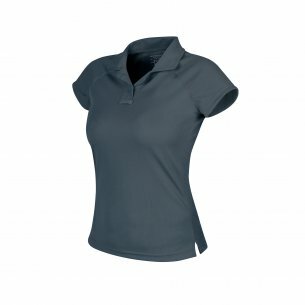 A solid finish (a soft tape surrounding the neck, the hem of the sleeves with a double layer of fabric) protects against scrapes and prevents the t-shirt from being damaged. High quality of workmanship makes the t-shirt comfortably adjusts and does not restrict movement. 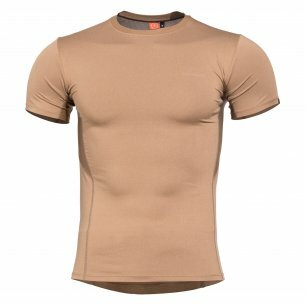 T-shirts are available in the following colors / camouflages: black, olive green, khaki, coyote / tan, white, pentacamo, wolf gray, terra, brown, lava red, pacyfic blue, petrol blue. Pentagon T-shirts are pleasant to touch and hypoallergenic. They easily let through the air, which regulates body moisture. 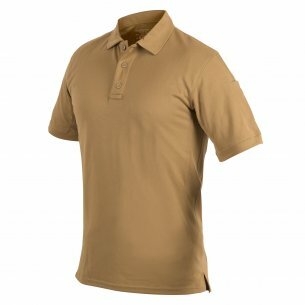 No matter if you need a military T-shirt, a military T-shirt, a camo shirt, a thermoactive t-shirt or a high quality polo shirt, we hope that our military store will be able to provide you with what you are looking for in every color and size. We encourage you to familiarize yourself with the full range of our products dedicated specifically to active men prepared for work in all conditions. 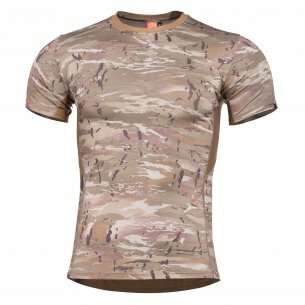 We try to ensure that our t-shirts and other clothes meet special needs resulting from the nature of work in uniformed services or the passion of survival or extreme tourism.